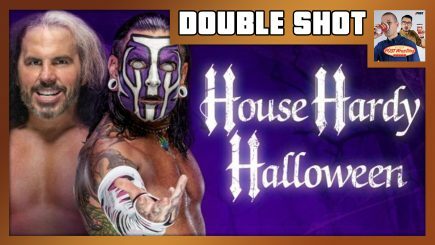 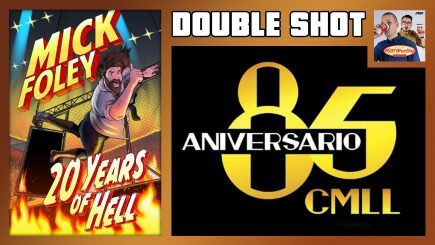 For weeks when there are simply too many events to cover in one podcast, John Pollock and Wai Ting bring you THE DOUBLE SHOT. 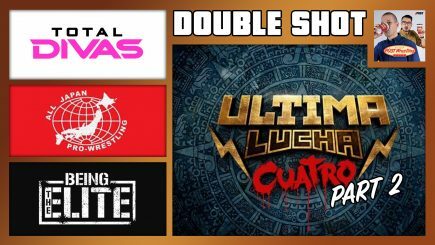 John Pollock & Wai Ting review Ultima Lucha Cuatro Part 2, the latest episodes of Being the Elite & Total Divas, and the first night of AJPW’s Real World Tag League. 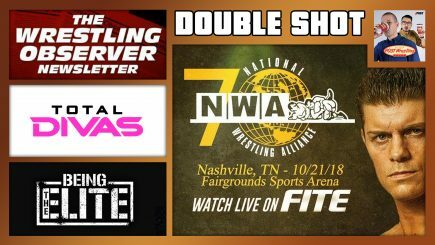 John Pollock reviews this past Sunday’s NWA 70th Anniversary card featuring Cody vs. Nick Aldis. 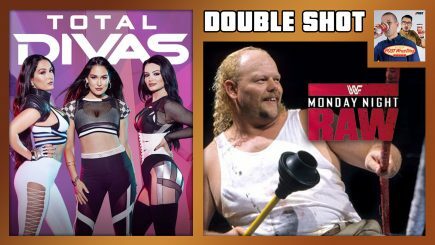 Wai Ting provides his weekly review of Total Divas. 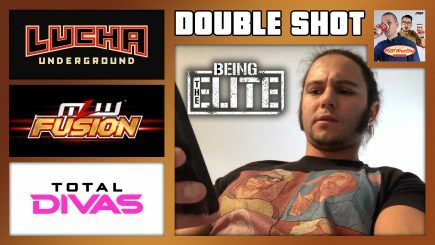 Pollock reveals his ballot for this year’s Wrestling Observer Newsletter Hall of Fame. 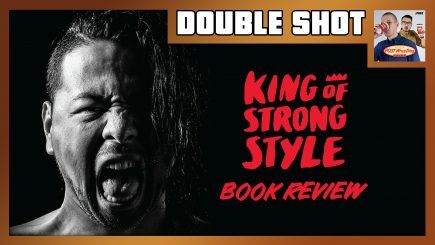 John Pollock is joined by Wai Ting for “The Double Shot” with a review of the English-translated version of “King of Strong Style: 1980-2014” by Shinsuke Nakamura, plus a special “mystery review” that John surprises Wai with. 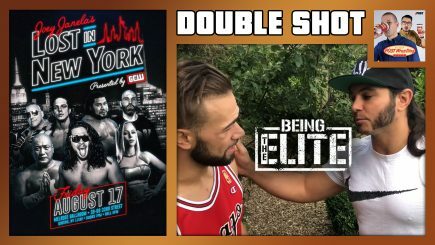 John reviews Joey Janela’s Lost In New York, GCW’s follow-up to Spring Break 2 featuring Matt Riddle vs. PCO. 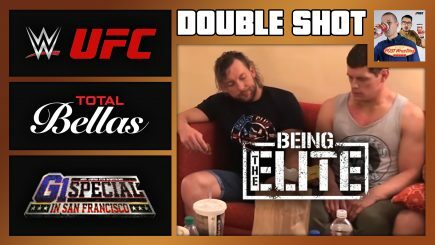 We discuss Being The Elite (Ep. 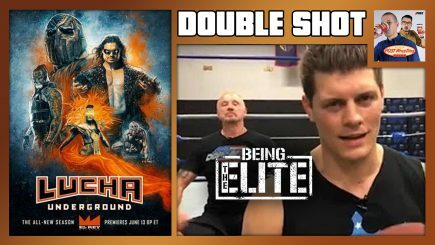 116) with a must-see tribute to Beyond The Mat, and Wai reviews BTE’s SCU Training for ALL IN special. 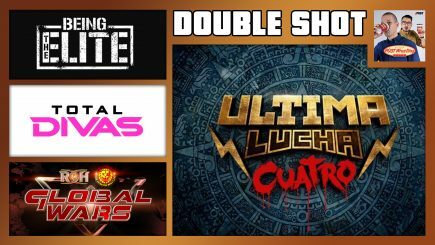 John recaps this week’s Lucha Underground featuring a marriage proposal, Wai recaps Being The Elite (Ep. 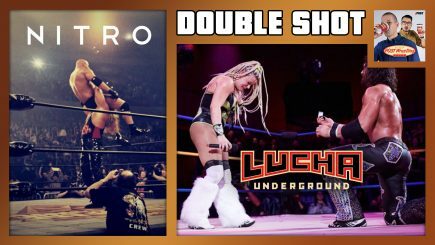 115) and John gives our first book review with “NITRO: The Incredible Rise and Inevitable Collapse of Ted Turner’s WCW” by Guy Evans. 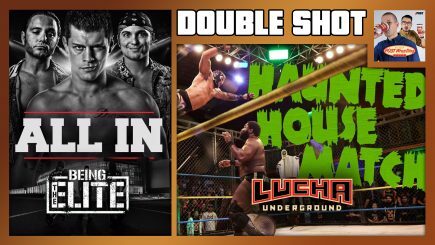 John catches us up on Lucha Underground Season 4 with a review of Episode 8. 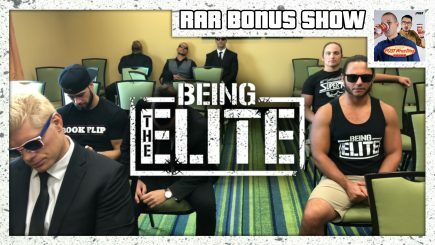 We then review Being The Elite (Ep. 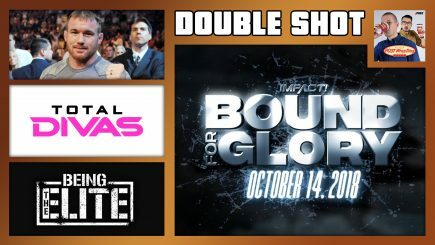 114) featuring the cast announcing ALL IN’s broadcast details. 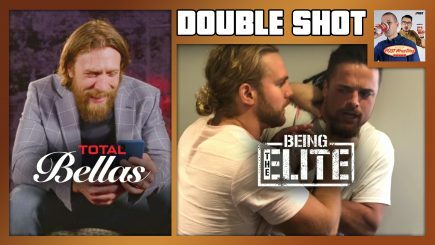 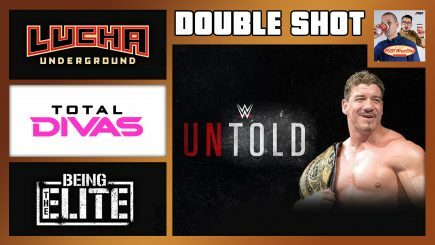 John Pollock & Wai Ting are back with the “Double Shot” for members of the POST Wrestling Café with a review of the season finale of Total Bellas, John reviews the post-Slammiversary episode of Impact Wrestling, a recap of ‘Being the Elite’ Episode 113 & more.